In the 1520s King Henry VIII held hundreds of manors, and more were to fall to him with the dissolution of the monasteries. Many of these manors were destined to fund university colleges and schools, and this was nearly the fate of Sutton Coldfield, included in the list of manors intended for the endowment of Cardinal Wolsey pet project, the foundation of Cardinal College Oxford. This college was founded in 1525 on a smaller scale than Wolsey’s original plan, and refounded by Henry VIII as Christ Church in 1532. Meanwhile the King decided in 1528, probably to please his friend Bishop Vesey, to turn Sutton into a self-governing town with its own Warden and Society (another name for Mayor and Corporation). In the charter which established Sutton as a self-governing town, the King declared that it should be known for ever after as the Royal Town of Sutton Coldfield. In 1528 Sutton was already royal, having had successive kings as lords of the manor since 1480; but it had been allowed to remain in a run-down and neglected state by Edward IV, Richard III, Henry VII and Henry VIII. Before 1480 the Manor of Sutton Coldfield belonged to the Earls of Warwick, the second earl, Roger of Newburgh, having received it in 1126 by exchange with King Henry I. From 1066 royalty were lords of the manor when the Norman kings who were addicted to hunting held Sutton - William the Conqueror created about seventy forests, covering a quarter of the area of England (Sutton lay within the bounds of the Forest of Kank or Cannock), and Henry I was the originator of Sutton Park as a deer park. Sutton manor house, which stood on Manor Hill, was said to be “the hunting seat of the feudal lord”, and probably existed prior to the Norman Conquest, when Edwin Earl of Mercia held the manor of Sutton. 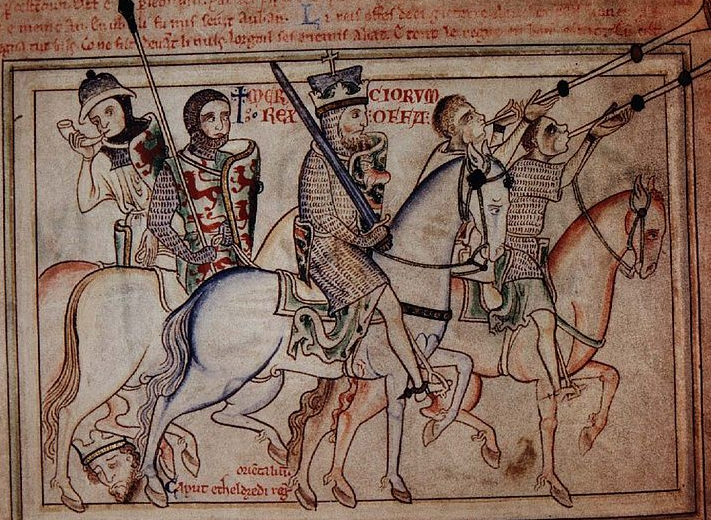 The Saxon nobility were just as keen hunters as the Normans, so it is reasonable to suppose that they valued Sutton as good hunting country. To determine which of the Saxon lords first built the hunting lodge is a matter of pure speculation, my guess being as follows. The Earls of Mercia were subject to the King, and concerned with securing their position in politically unstable times, following centuries of Viking incursions, so were unlikely to have built a new hunting lodge. However, in the eighth century Mercia was a separate kingdom, one of the seven realms - Wessex, Essex, Kent, Northumbria, East Anglia, Mercia and Sussex - and reached the height of its power under King Offa, who reigned from 757-796. Offa brought in many innovations from abroad, and I think would have seen and copied the hunting fashions of Charlemagne’s court, which included the provision of convenient halls for use as hunting lodges. King Offa’s Royal Palace was at Tamworth, so a likely site for a hunting lodge would be on a hill next to the vast wasteland known as the Coldfield - perhaps, as this was south of Tamworth, he named it for being near the South town by the Coldfield. If so, Sutton has been a royal town for 1250 years.